The lineups for Coachella, Governors Ball and Boston Calling all came out this week. This is definitely the earliest on record that these lineups have come out and they each tell an interesting story. Coachella – ROCK IS DEAD! Long live hip hop and Beyonce! Governors Ball – who can we book that will fill this random island outside of New York City? People like Halsey? Check! People used to love Yeah Yeah Yeahs? Check! Third Eye Blind has like a fan left? Booked! Boston Calling – No no no. ROCK IS ALIVE! All next week, here on Mod 102.3, we will get you into Boston Calling and we have to say it is the most intriguing of the lineups to us. Let’s compare headliners to headliners. Eminem – okay he’s on all three. Fine. I hope he plays no new album and just “Lose Yourself” a whole bunch! Jack White (Boston) – Jack White (Gov Ball) – The Weeknd (Coachella) – Coachella clearly made a decision that pop/hip hop acts were the key to the promise land and that the target for their festival is 18-30 year olds . Is The Weeknd a headliner? I would say sure. Will his set be interesting? No question. Boston and Gov Ball took the other approach. 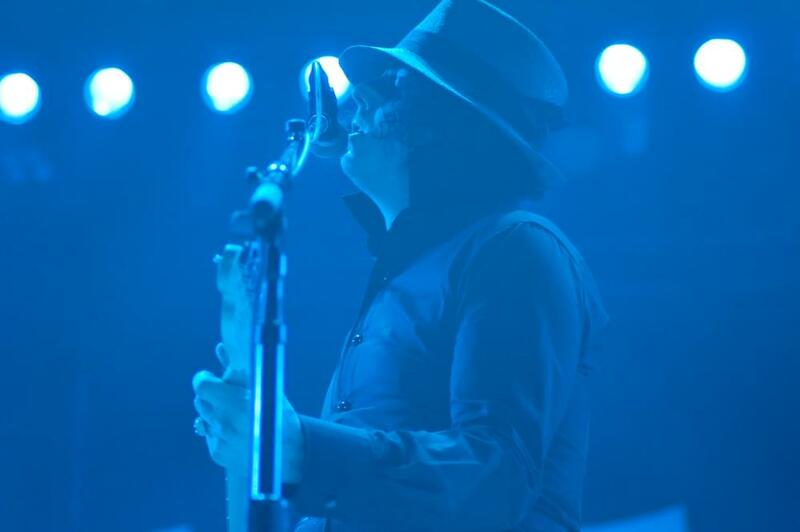 Jack White is still a name. He attracts beer drinking thirty-somethings and might be someone your drunk uncle who likes Foreigner might be into. “Oh that’s the duh-duh duh- duh guy song? The one they play at the Pats?”. Let’s hope it’s a lot of White Stripes songs and nothing from the Cold Mountain soundtrack. The Killers (Boston) – Travis Scott (gov ball) – Beyonce (Coachella) – Nobody is bigger than Beyonce. Personally I thought this was going to be Justin Timberlake, but she has more cred and fits this new version of Coachella vibe better. Also she owes them one. People will legit freak and put their middle fingers up during “Sorry”. I’m into seeing that YouTube video. Travis Scott isn’t a headliner. It seems that Halsey should be higher up on this bill. I assume his set will be a million guests and I guess Kylie Jenner shows up? Coachella – really into EDM, Hip Hop and big Top 40 artists. Also love that celeb life and wanted pics of you on Just Jared. Governors Ball – just like hits from all different kinds of artists. “Maps” at this time into “59 Sound” over here into “The Way Life Goes”.